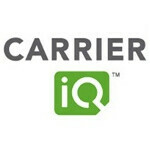 Carrier IQ is the best thing that has happened to the legal profession since Apple accused Samsung of copying its designs in producing the Galaxy line of devices, While just the other day a class action suit accused Carrier IQ, HTC and Samsung with violating the Federal Wiretap Act, none of the carriers was included in the fist class action involving the use of Carrier IQ's analytics software. That has now changed. A new class action suit has just been filed in a federal court in Wilmington by a trio of law firms, two of which are from Jersey (Keefe Bartels and Eichen Crutchlow Zaslow & McElroy) and one from Wilmington (Sianni & Straite, hoping to get the home COURT advantage). This time the defendants include AT&T, T-Mobile and Sprint as well as Apple and Motorola. HTC and Samsung are both included in this suit although Carrier IQ is ironically excluded. The seven are accused of violating the Federal Wiretap Act, the Stored Electronic Communications Act, and the Federal Computer Fraud and Abuse Act. The suit adds that the companies named in the suit were caught violating customers privacy rights in "direct violation of federal law." AT&T, T-Mobile and Sprint have admitted to using the software but says that its use complies with privacy policies. As we know now, tracking software from Carrier IQ was tracking sensitive personal data belonging to cell phone users, without their permission. Just as recently as November 30th, the United States Senate Committee on the Judiciary sent a letter to Carrier IQ warning them that these actions could be considered a violation of federal security laws and could be a very serious matter. While some reports say that T-Mobile has been adding Carrier IQ to some of its phones without the approval of manufacturers, Carrier IQ and Google have placed the blame on phone makers and carriers. Well that's weird, because I haven't heard of a single instance of Motorola's phones having CIQ. I've been running Voodoo on my Atrix and it keeps saying my phone is clean. I still think the carriers have the most blame here instead of the manufacturers, and yes, I mean Apple too. Agree with the carriers being the the ones primarily at fault. If a manufacturer shipped a handset with Carrier IQ installed when the handset left the manufacturing facility, or was installed with a later software update, then the manufacturer should also be on the hook. In the U.S. at least, it still takes a warrant for a wire-tap. The only way to stop warrantless wire-tapping is to make the offenders pay and pay big time. I do recall that on the latest Droid 3 and Bionic, that if you used the email feature or adding a Facebook account on the phone (not the app) it made you consent to sharing your personal data. You can check it out. My ATRIX definitely doesn't have CIQ. Used Lookout Labs' carrier IQ detector. I can only guess their first thought was that they wanted to give their customers a better experience by knowing about certain issues, thus having Carrier IQ develop this software, only to have it mutated somewhere along the way :-? This is why i bought a sony ericsson. They actually know, cares and listen to what the customers want. and they didn´t get any lawsuits. Google blames phone makers and carriers? What's wrong with you?! The only one to blame is Carrier IQ itself for existing in the first place, let's all get rid of it and live the rest of our happy lives already. It's the principle. If they don't get stopped with mild invasion, then it's only a matter of time until they try to take sensitive stuff. But I do agree that these large class action suits don't benefit the people at all. The carrier may give you a free month if you have the receipt that you bought the invasive phone from them 2 years ago. It's not indifference. It's pragmatism. You're all mad at CarrierIQ, but the web is mum when it comes to the heavy hitters like Google, Yahoo!, and Apple (that are visible) and the literally hundreds of tracking site that do who-knows-what with your browsing data (which is accessible due to how browsers are programed, yes, including Firefox). Right now on PhoneArena there are at least 10 tracking cookie elements present, including Facebook Connect, NetShelter, Quantcast, and the all time favorites like Google Analytics, AdSense and DoubleClick. These services know more about you through browsing habits than any telemetry on a cell phone. CarrierIQ offered a service which three of the four major carriers opted to use. Aside from general paranoia, there is no reason to suspect that anything nefarious is being done with the telemetry that is being used by the carriers. I won't even explain Facebook... The "good" guys get a pass somehow, Facebook with its 700M+ users, Google, Yahoo!, iPhone/iPad/iPod (and all that tracking that was exposed last year)...all flash in the pans that everyone sort of shrugged at. But CarrierIQ is an evil money grubbing enterprise out to find out how many pictures of Justin Bieber you sent to your friends? ... ... ... Now, a class action lawsuit will fix all this how? Oh yeah, it won't do a damn thing. What's worse, is you think this is some ethical violation. There's nothing unethical here. You want unethical, go to the UK where News of the World hacked in to people's voicemails.